Identity theft can be committed by anyone, be it a stranger or even a family member. In the blink of an eye, the thief can rack up thousands in debts under your name. It can seriously damage your life and the life of your family, making it difficult to find a job or a reasonable home loan. For others, inaccurate credit reports occur because another person’s information is on your credit file. Fortunately, there are ways you can help yourself. If you would like to speak with a credit report dispute lawyer that can assist you, please feel free to contact our office at (571) 313-0412. If you live in Arlington, Virginia and you believe that you are the victim of identity theft, you should contact the Arlington County Police Department. You can call their non-emergency number at (703) 558-2222 and file a police report related to the identity theft accounts. Be sure to keep a record of the report, plus any other contact you may have with the police. 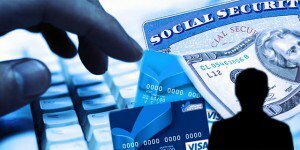 After filing an identity theft report, your next step should be to contact Experian, Equifax, and TransUnion, the credit reporting agencies responsible for your credit file. Place a fraud alert on your credit file and obtain a copy of your credit report from each agency. Carefully look over your accounts, making a note of any inconsistencies with your own records. If there is incorrect information in your credit report or accounts that were opened by identity theft, you should contact the appropriate credit reporting agency through a formal dispute letter. Be specific when stating your problems, include any supporting documentation, and be sure to state if the accounts have been opened as a result of identity theft. Keep a copy of any correspondence you send to or receive from the credit reporting agencies. Although it is the responsibility of the credit reporting agencies to keep your records accurate and up-to-date, they will sometimes neglect their duties, resulting in damages to consumers. If you have taken steps to solve inaccurate items on your credit report and there are still errors on your credit file, you should contact Blankingship & Christiano, P.C. by calling (571) 313-0412 for assistance.